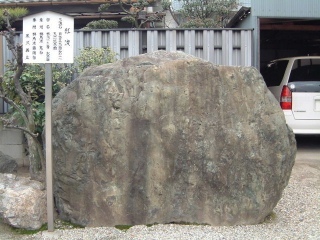 and an image of Juuichimen-Kannon (lit. eleven headed Kannon) carved by him was enshrined. 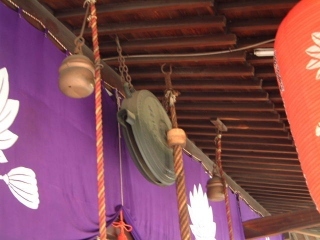 established Jingu-ji (a combined temple of Shinto and Buddhism) and named it Entsu-ji which belonged Soto School. 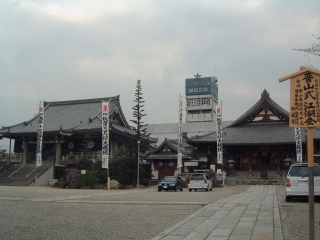 When you stand at the gate, the left building is Entsu-ji (temple) and the right is Akibasan (shrine). the bells, male. This maybe came from folk belief. The first shugendo is running on the fire ! held on December 16th of each year. 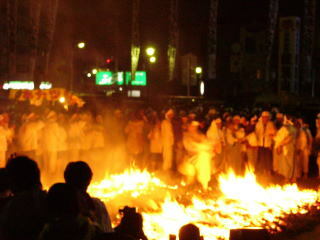 and many Shugendo or mountain priests gathered from all over Japan walk over smoldering firewood barefoot.. I think this is a must to see. 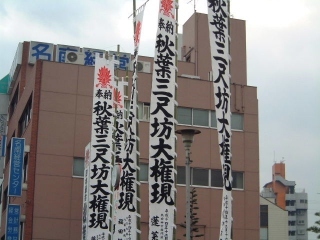 has been stayed here during Nagoya Tornament (Nagoya Basho) period. Get off at Tenma-cho sta. on the subway Meijo line.